A temporary black carbon steel clamp was installed to prevent an oil leak from the localized corroded area. In 2012, Alyeska identified a 6 inch wide area of external corrosion on crude oil piping near the end of one of their oil-loading berths, known as Berth 5, at the Valdez Marine Terminal. Corrosion in the 48 inch diameter pipe is of particular concern, as it is located over water. 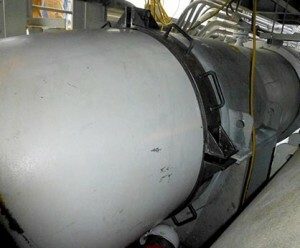 Oil storage tanks have a “secondary containment” system surrounding them that would help keep oil out of the environment if a spill from the tanks should occur. The containment system has a liner that would prevent oil from seeping through to the ground. The council recommends routine inspections to make sure the liner remains intact. 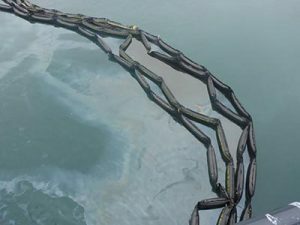 The oil spill contingency plan for the Valdez Marine Terminal is undergoing an update, and the council recently had an opportunity to comment on the changes. The plan, known officially as the Valdez Marine Terminal Oil Discharge Prevention and Contingency Plan, contains detailed information about how an oil spill at the terminal can be contained and cleaned up, and ways to prevent an oil spill in the first place. By law, these plans are required to be reviewed and updated every five years, and these changes are a part of that regular cycle.